As we mentioned on our Dental Implants page, implants can be used in several scenarios. 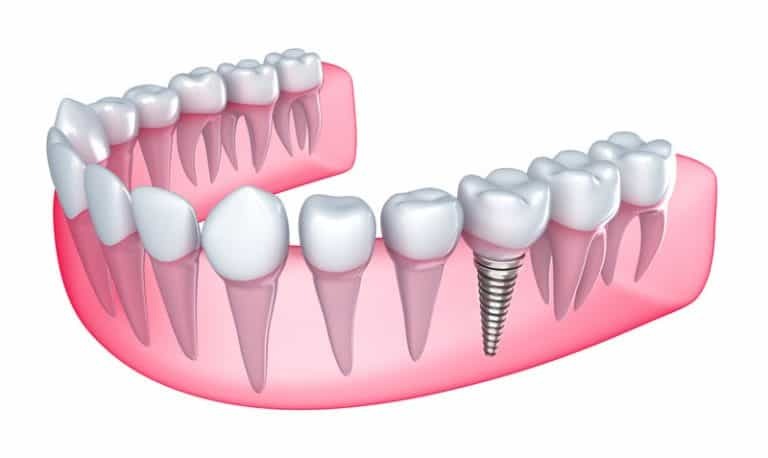 Single tooth replacement: assuming you are a good candidate for a dental implant, we can easily replace a single tooth by placing one titanium post and restoring it with a crown. Implant-supported bridge: if you have several teeth in a row that are missing or failing, we can place two implant posts and create a permanent bridge to span the full space. This gives the look of three individual teeth, but only two crowns. Implant-supported denture: a stronger, more secure alternative to a denture, this option uses several implant posts to secure the prosthetic. It is still removable like a denture, but it stays in place better, and maintains bone density over time because of the implants. When considering options for implants, it’s important to understand that not everyone is a good candidate. Patients who are chronic smokers, for example, may have difficulty with the healing process. Too often, we see cases where the implant will not fuse to the bone because of the side effects from tobacco usage. Additionally, anyone with chronic health concerns like diabetes or anemia may also struggle with getting proper fusion of titanium and bone. Patients on blood thinners will need to take great care—and have the support of their primary physician—to ensure they can clot properly after the procedure. If you are considering implants, make our team aware of any health condition that may prevent you from being a good candidate. Some conditions can be managed, while others may simply make implants unsafe. Your safety is our top concern. Would you like to learn more about dental implants? Call Brito Family Dental at (617) 766-8496 to schedule your consultation.